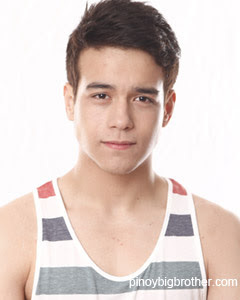 Kit Thompson is Nominated for Eviction in PBB Teen Edition 4; How to Vote and Save Kit for Eviction? Keith San Esteban Thompson, the “Kid Tangkad of Pampanga,” is in danger of eviction. You can help Kit stay on Kuya's house, by texting BB KIT and send to 2331 for Globe, Touch Mobile and Sun Cellular subscribers and 231 for Smart and Talk 'N Text subscribers. To know more about Kit, click HERE.